Is your water heater failing to consistently deliver hot water? Do you have a shower head or faucet that drips constantly? Does your toilet never stop running? 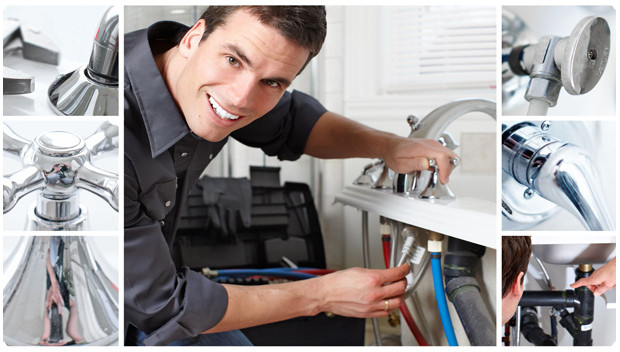 We offer 24 hour plumber service. Call us for personalized, professional plumbing repairs. Is the heating throughout your home even? Is your house consistently too chilly? Are you having problems with your furnace or heating system turning on or off? Hearing any loud noises from the furnace or air handler? Time to call us for a check-up! Is your air conditioning unit is broken? Is it not pumping out enough cool air for your whole house? Is it beginning to make funny sounds or blowing hot air?Call the best company to fix it! Schedule a system maintenance check early in the season to help avoid emergencies later. I have been using Watertight Plumbing and Heating for years. They have always been very professional, reliable and honest. Whenever I call, whether it’s an emergency or not, Dave always gets right back to me and comes right over to fix any problems. They are definitely a company that you can count on to get the job done. I highly recommend them to anyone that needs any heating/air conditioning or any kind of plumbing. Like most 30 year homeowners we’ve had more than a few plumbers to take care of leaks, plumbing installations, etc. They were OK. Then we found Watertite, Dave and Bob are head and shoulders above the rest. They are excellent plumbers. They respond immediately. They are very fairly priced and, really good guys. They installed our new water heater, sprinkler blow out lines, new faucets, new shower heads and gas fireplace. We couldn’t be happier. Try Watertite. You won’t regret it.